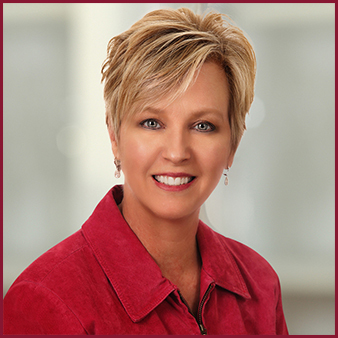 Hi… I’m Holly Magister, a CPA and Certified Financial Planner, and I founded Exit Promise in 2010. Quite delighted you’re interested in becoming a Featured Advisor! You may have noticed our site is authored and supported by Featured Advisors who have many years of experience in their respective professions. We do not accept guest posts because we believe professional advisors who serve business owners are the best sources of articles and answers to questions asked on ExitPromise.com. We have been quietly building a deep network of Attorneys, Business Brokers, CPAs, Business Capital and Business Valuation Advisors, and Growth & Exit Planning professionals over the past nine years — all with the intention of serving business owners when they have a problem or opportunity. ExitPromise has been built as a result of the creation of quality content directly related to starting, growing and selling a valuable business topics. And so business owners who search online for answers to their questions or a resource to help them solve a problem discover ExitPromise and our Featured Advisors. In some cases, the business owner asks a question on the site… So far, collectively our Featured Advisors have answered nearly 4,000 questions posed by business owners. In other cases, the business owner sends in a request or directly calls in to speak with a Featured Advisor. That’s when we get to work to place the business owner in front of one of our Featured Advisors who is well-suited to help them. Of course we do a lot of other things to support and promote our Featured Advisors too. One of our Featured Advisors described us as their marketing department. We smiled when we heard that. Because we know how difficult it is to own, operate and manage a professional practice while trying to market and grow the business. I did that for nearly 25 years before I founded ExitPromise. If participation as a Featured Advisor on ExitPromise has piqued your interest, we’ve found the best way to see if it’s a mutually good fit is to take a little time aside to talk. If you’d like to do so, please find my scheduling app to the right and choose a good day and time that fits well into your schedule. Looking forward to speaking with you!